The Seahawks took on the Packers in last night’s Monday Night Football matchup, and many fans expected the Packers to cruise to the victory. Mike Perry of Sportsbook.ag, a large sports betting establishment in Las Vegas, said that up to 85% of the bets for last night’s game were in favor of the Packers winning. According to the footage, the Packers did earn the victory. However, the NFL replacement refs gave the game to the Seahawks on what was arguably the worst call ever made in NFL history. With eight seconds left in the game, Seattle faced a 4th-and-10 from the Packers 24, so the Seahawks rookie quarterback Russell Wilson was forced to throw a Hail Mary. 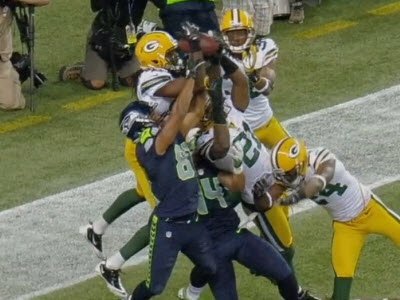 The refs ruled that Golden Tate caught the game-winning touchdown when video proves that it was, in fact, a game-winning interception by M.D. Jennings. This gave the Seahawks the controversial 14-12 victory. To be fair, the Seahawks were playing excellent defense in the first half of the game and were able to sack Aaron Rodgers eight times. However, in this low-scoring game, there were several calls near the end of the game that really impacted the result negatively. Many of the calls seemed to go the Seahawks’ way and should’ve been called differently, according to the replays. There was also an immense amount of confusion among the refs themselves at the end of the game. One ref called a touchdown and one called a touchback (meaning that the Packers would win), and this uncertainty shows the replacement refs’ complete ignorance and incompetence in situations like this. The calls were so wrong that it almost calls for speculation as to if the Seahawks actually paid off the replacement refs. The replacement refs have already had a history with inappropriate alliances with NFL teams this season. Brian Stropolo, a replacement ref, was assigned to the Saints-Panthers game last Sunday and was pulled from the assignment because of his open allegiance as a Saints fan. The officials claimed that both Tate and Jennings caught the ball and retained it, and, therefore, the offensive player, Tate, had to be rewarded with the ball, which means it would be a touchdown. The NFL backed up the officials’ decision to call the play a “simultaneous catch.” However, in the replays, it is blatantly obvious that Tate didn’t even catch it. He had an arm on it, but he didn’t have possession of the ball, so the simultaneous catch argument is completely irrelevant. Even if he had gained possession of the ball at some point, Tate said himself that he wasn’t sure when he caught the ball and that he “took the ball from him [Jennings],” meaning the call of “simultaneous catch” is still wrong no matter what. The NFL released a statement earlier today about how the league will not overturn the ruling by the officials. However, the league points out another call that the replacement refs missed at the end of the game. “While the ball is in the air, Tate can be seen shoving Green Bay cornerback Sam Shields to the ground. This should have been a penalty for offensive pass interference, which would have ended the game. It was not called and is not reviewable in instant replay.” The league admitted to the fact that deciding who caught the ball and who had possession is, in reality, irrelevant, because Tate committed a penalty before the catch even happened. His offensive pass interference, that should have been penalized, would have ended the play and, therefore, the game. The replacement refs messed up on every single aspect of reviewing and calling this play, which is shameful and gives the NFL a bad image. With all of this evidence going against the replacements refs’ ability to officiate a game properly in the NFL, the league needs to reach an agreement with the normals refs immediately. Based on the severity of these missed calls, money should not even be an issue anymore. Bringing back the normal refs is too important to the image of preservation of the NFL. Rodgers spoke out today about the importance of ending the labor dispute with the normal refs. “NFL obviously cares more about saving some money than having the integrity of the game diminished a little bit,” Rodgers said. The poor decision-making of the replacement refs decided this game and gave the Seahawks the win. The result of such a mistake not only affects the Seahawks and the Packers, but it also affects all of the NFC North and the NFC West, and, honestly, the entire NFC. The result of this game could have serious playoff implications later on in the season, because it could affect which teams make the playoffs. It also affects how fans view the league and their future viewing of games. Because of this horrible decision, the NFL’s popularity could potentially be severely hurt. We’ll see if the NFL can recover from this mess. One of the biggest pieces of “breaking news” for the NBA recently is that LeBron James and Kevin Durant were, once again, working out together this offseason. Before this past season, these two worked out together during the lockout, and many people wondered why Durant was working out with “the enemy.” Some say though that if you want to get better, compete against someone who’s better than you are, so maybe this is the approach Durant chose to take last year and this year again. 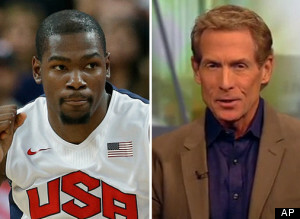 According to Skip Bayless, Durant is making the wrong move here by working out with James. He claims that LeBron finally won an NBA championship because when Durant guarded him, Durant allowed James to attack the basket, play freely, and play how he wanted to. When James and the Heat lost to the Mavericks in the Finals last season, the Mavericks were able to get under his skin and frustrate him defensively. Bayless claims that since Durant and James became “best buddies” during the offseason prior to when James won the Championship, James was able to play more comfortably and dictate more on offense. Watch more of Bayless’ opinion here. In response to Bayless, Durant tweeted “@RealSkipBayless u brainwashing these people out here, they think since you on espn you know what you talkin bout…please, nobody owns me.” Durant quickly deleted the tweet soon after though. Watch Bayless’ opinion on Durant’s response here. So, who is right in this debate? Is Skip Bayless right that Durant is “getting too close to his primary threat” and that this will result in more rings for LeBron and not Durant? Or is Stephen A. Smith right that Durant is allowed to feel disrespected based on what Bayless said? I think that Bayless has some elements to his argument that are true. I do believe that James was able to dominate offensively during the NBA Finals against Durant, but not necessarily because they’re too close of friends. I believe that Durant, despite his long reach and his wingspan, is not that strong defensively and didn’t defend James well enough overall. Against James, defenders need to step up even more than usual, so Durant didn’t respond as he should have defensively. 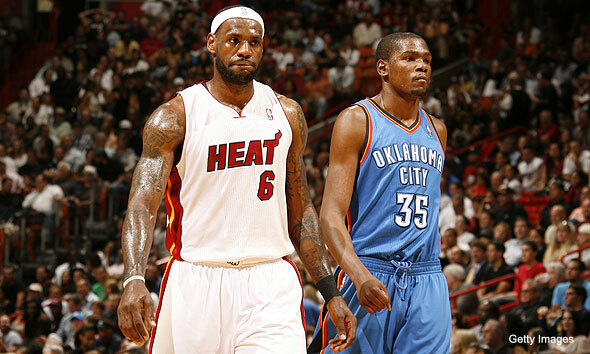 It is true that James might have naturally felt more comfortable playing against Durant because they’ve played each other and worked out together many times, and that was one of the reasons why he was successful against him in the Finals. However, that’s not the only reason why Durant wasn’t successful guarding James, but it is an important factor to consider in this debate. I also agree with Stephen A. Smith that Bayless doesn’t need to be so harsh and thoughtless when saying Durant was now “owned” by James, because that is extremely disrespectful. In baseball and according to Mike Krukow, the Giants broadcaster, a hitter can have “ownage” over a pitcher if they have an impressive batting average and have had success against a pitcher very often. However, the concept of “ownage” doesn’t mean that this specific hitter owns this pitcher, even if it is psychologically. This particular hitter has had great success against this pitcher, but that doesn’t mean that he owns and takes over the mind of the pitcher in a dominant or superior way. A hitter’s high batting average against a pitcher might give him confidence in the batter’s box, but that doesn’t mean the pitcher can’t come right back and strike him out and humble him a little. The term “owning” in basketball is completely different. There is no statistic that measures someone’s field goal percentage against one specific defender, and that’s why “ownage” never comes up. Basketball is too much of a team sport to consider one player “owning” another player. 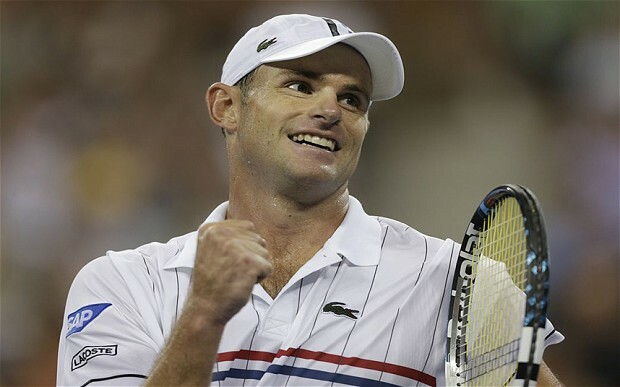 A player might perform well when playing against another player, but that doesn’t mean he “owns” the other player, because there are so many other factors that go into a player’s success. LeBron James might have won a title now, but that doesn’t mean he is more superior to Kevin Durant. Plenty of people have won NBA Championships, but that doesn’t mean they are superior to someone who hasn’t won one. For example, Adam Morrison won two NBA titles with the Lakers. Is he more superior to Durant? Does he “own” Durant? Not even close. In fact, that notion would be ridiculously absurd. LeBron James might feel more comfortable around Kevin Durant now that he’s played against him more and that might mean that he’ll play better offensively against him, but in no way does that mean that he “owns” Kevin Durant or that he ever will. Durant isn’t necessarily getting too close to “the enemy” though. If James feels comfortable playing against Durant, then Durant needs to respond by stepping up and playing even better when he goes up against James. There will always be a debate about if Durant or James is better. However, there should never be a debate on if LeBron James “owns” Kevin Durant. Bayless brings up an interesting point, but he hurts his credibility and his argument by using harsh, unnecessary words. He needs to respect the players and respect the game. The other half of “Super Sunday,” the Giants vs. Dodgers game at AT&T Park, proved to be just as exciting for the fans. It was supposed to be a Barry Zito and Clayton Kershaw matchup, but Kershaw was scratched right before the game with a minor right hip injury, even though he said he could’ve pitched. Joe Blanton was the replacement starter for the Dodgers, and the Giants have had good luck against him in the past. In his last 11 outings against the Giants, Kershaw has a 7-3 record with a 1.21 ERA. The Giants surely were glad that they didn’t have to face Kershaw, even though, out of respect, none of them fully said that. 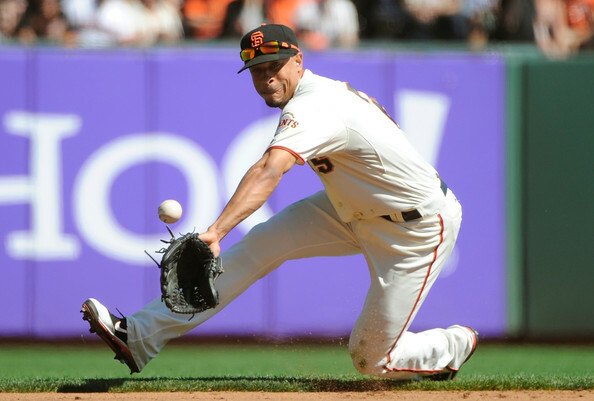 “He’s one of the best pitchers in the game,” Bochy said. “We haven’t done a lot with him.” In fact, Zito ended up being the star of this game. He pitched 6 1/3 innings, allowed four hits, and no runs. 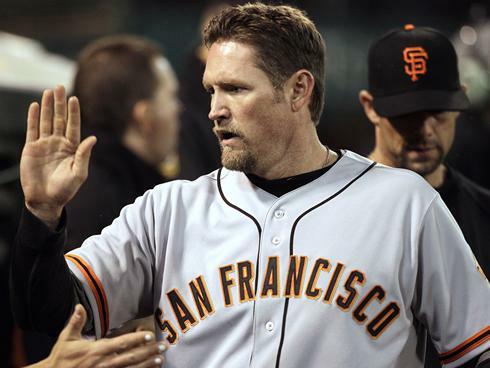 Bochy praised Zito’s concentration and Buster Posey credited Zito’s confidence as reasons why he was so effective. 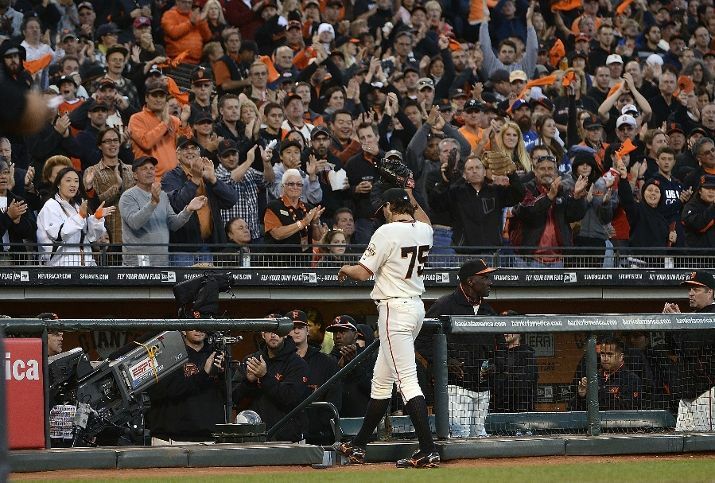 Giants fans have started to believe in Zito more, giving yet him another standing ovation when he came out of the game. 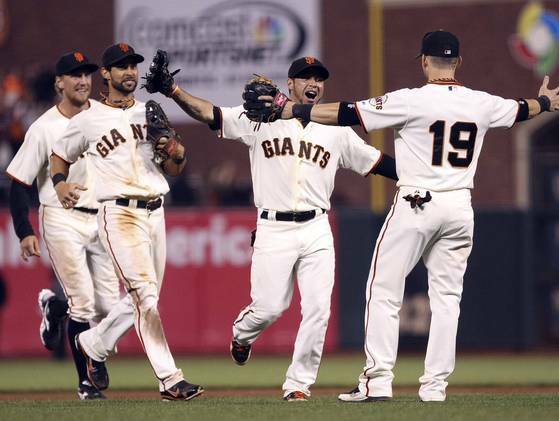 “The atmosphere tonight was probably more electric than I’ve ever seen,” Zito said. The start of the NFL season is one of the best days of the year for many fans. September baseball always showcases drama and intense competition, especially when watching the Giants. San Francisco sports fans were in for great sports action all around on “Super Sunday.” The Niners proved to all of the NFL that they are once again a contender, and last year’s success wasn’t a fluke. The Giants solidified their lead in the NL West and sent a message to the Dodgers that if they want to get into the playoffs, they’re going to have to go through the wild card. 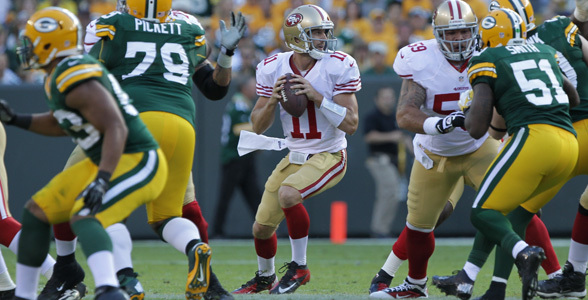 Both teams appeared dominant and more confident than ever, which was great to see as a San Francisco sports fan.